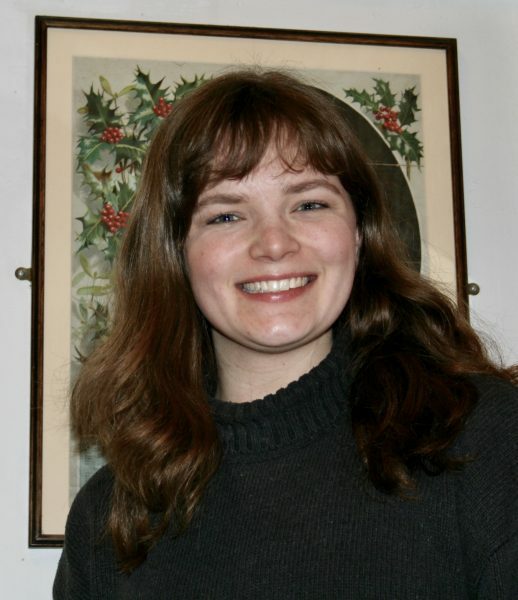 We have been lucky enough to have Holly Smith working on our digital records at Beck Isle Museum, and we asked her to share her experiences with you. Holly is always full of cheer and enthusiasm, and is a pleasure to have around. A bright future awaits – now over to Holly! I’m currently working as a Documentation Assistant at Beck Isle Museum and Ryedale Folk Museum, after completing my master’s in Archive Administration. In the run-up to this qualification, I finished an undergraduate degree in history and gained collections experience in places such as Kirkleatham Museum and Marks and Spencers Company Archive. It’s been lovely to move back to the North York Moors and continue to gain experience in historic collections, and an absolute joy to work in a place like Beck Isle Museum. Beck Isle Museum has a vast collection of treasures on display to the public, ranging from agriculture and industry to textiles and photography. However, like all museums, the items making up our exhibitions are just the tip of the iceberg – the stores at Beck Isle actually house tens of thousands of objects, documents and ephemera relating to the history of the Pickering area. An increasing number of these items are being documented onto our museum database, a system where every item is given a unique identification with any relevant information attached to it. My role, as Documentation Assistant, is to ensure that this database is running smoothly and effectively. This is being done through a number of tasks. Firstly, is to tackle the records that were transferred to our current database from an older version. All of these need checking against the collection as a whole, as a large number are duplicates or provide slightly different information. This can be a slow process, but the number of records is reducing! It is also important to ensure that the records in our database follow the same pattern in terms of their unique identification number. An example of a record from our database is ‘PIKRL:1998.29.4’ – referring to Pickering Museum of Rural Life, the year is was accessioned into the collection, and the numbers belonging to that item. Records need to be checked to make sure that the numbers are indeed unique, that they are using the right punctuation marks, and that they haven’t any additional letters or symbols involved. The task that is my personal favourite is in relation to the photography collection at Beck Isle. This collection is significant both in size and historic value, and we are lucky to have an increasingly large number of these images digitised. My job is to attach these digital images to their corresponding records by checking that the numbers and descriptions match. I love that these photographs allow me a rare insight into the everyday lives of people from the Pickering area from over a century ago, and it’s also great to see our database be brought to life through the inclusion of multimedia. The use of photographs has also been harnessed by the costume collection. A number of photographs have been taken of the items in our textile and costume collections, which can also be added to the database to help provide increased documentation to this amazing part of our museum collection. Like all of these tasks, it’s working to make our collections database more accessible and useable. Through the work put in through these tasks, volunteers will have more access to information about our items, which in turn will help with the planning and production of that tip of the iceberg – our wonderful museum exhibits.